The History of Our Wonderful World: Roman Shops. 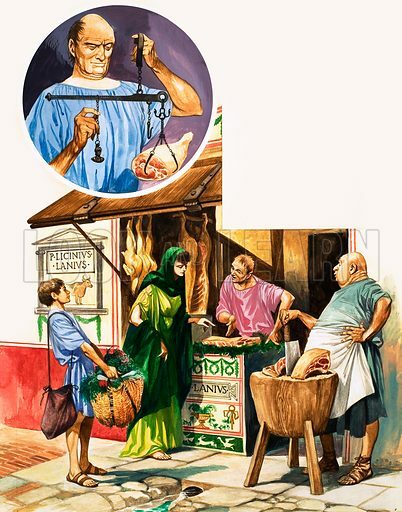 Buying meat at the butchers with (inset) the shop owner using scales to weigh the meat. Original artwork from Treasure no. 248 (14 October 1967).